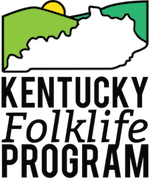 This month the Kentucky Arts Council and the Kentucky Folklife Program launched the next step of the 2-year Allen County Folklife and Oral History Project, a Community Scholars program in Allen County. For the next few months KFP and KAC will be training community members to collect, interpret, preserve, and share the culture and traditions of their communities. 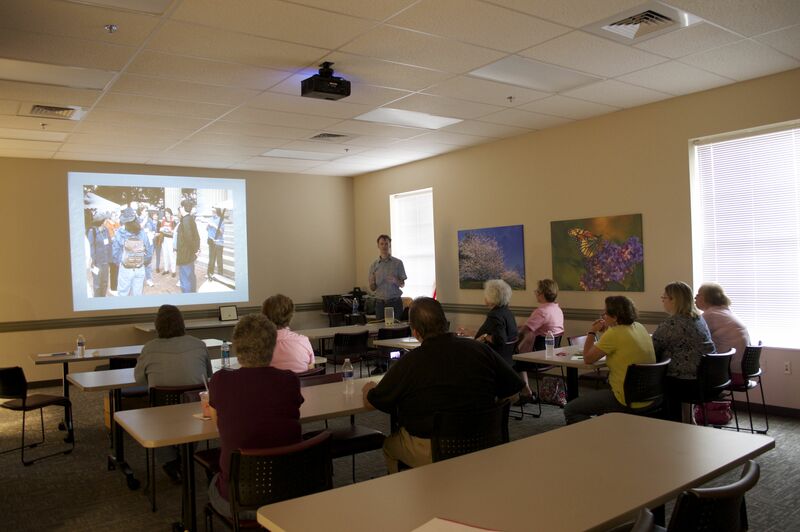 The introductory meeting and orientation in Scottsville on July 10th was a success, with a great showing of community members excited to get started with the training. Beginning in August and continuing through October, Mark Brown, Director of the Kentucky Arts Council Folk and Traditional Arts Program, KFP Director Brent Björkman, and various guest presenters will be meeting with the Community Scholars to offer this hands-on training. Mildred Pardue joined Mark Brown for a foodways demonstration and example interview at the introductory meeting. Mrs. Pardue was originally interviewed about her family foodways traditions by Folk Studies graduate students in the first year of the Allen County Folklife and Oral History Project and her letters and recipes have been included in the “Cousin Minnie” newspaper column of The Citizens Times. 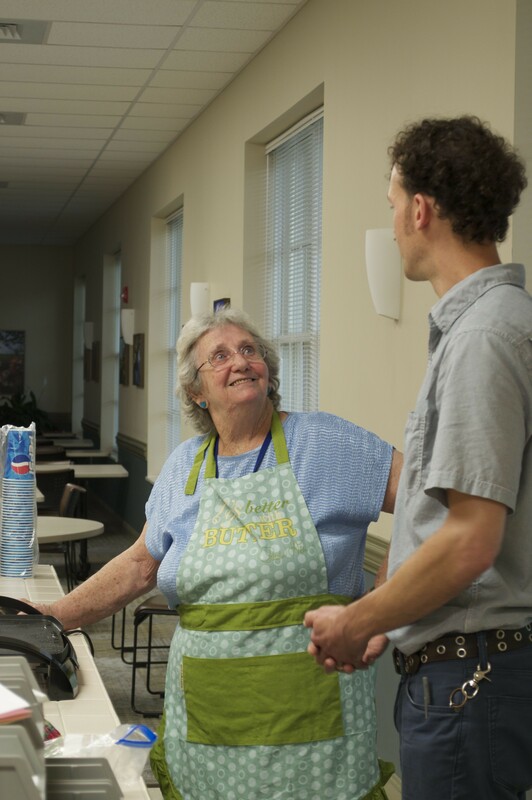 For the Community Scholars demonstration Mrs. Pardue made hoecakes and shared both her family history in Allen County and her memories of making hoecakes with her mother-in-law. You can read the full Kentucky Arts Council press release for more details and then continue to check back here for updates on the progress of the Allen County Community Scholars program over the next few months.